What Kind of Green Story Will Work Best for You? 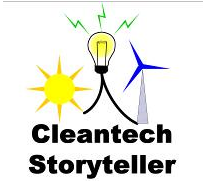 Unfortunately, due to the proprietary nature of business plans and executive summaries, I can not show you examples I have created for other Cleantech companies, but please find below, samples of my other professional writing. Adobe Acrobat Reader is required to view some of these samples. Please click here to download a free reader from Adobe. A Different Kind of White Paper - Read about how one company discovered the power of storytelling in their white papers. Cnetics System Overview Document - Collected sections of several existing documents (some in draft form) and created a new overview document for an important customer proposal. E-newsletters: The Subtle Way to Keep Your Foot in the Customer's or Prospect’s Door - E-newsletters provide your technology company an inexpensive, friendly medium to educate (and soft-sell) your clients and prospects on a regular invited basis. This article was written for TechLINKS Community Publishing. TechLINKS is The Guide to Technology in Georgia (www.techlinks.net). How to Use Product Benefits to Drive Your Marketing Message - With benefits, you give the customer a reason to choose your product over a competitor’s similar product. If customers are able to identify with the benefits of your product, they will have confidence in their purchase. This article was written for TechLINKS Community Publishing. TechLINKS is The Guide to Technology in Georgia (www.techlinks.net). White Papers - A Copywriting Niche with Little Competition - This article was written for Freebird (www.freebird-zine.com) for their monthly e-zine. If you want to see the whole issue, go to the website, www.freebird-zine.com, and look at Issue 11, in their archives. When She Walks Into a Room ... Everybody Notices - This article was written for the Duluth School of Ballet to advertise their program in several local publications. Informational Brochure: the Thought Leaders Forum - Handout used for a take-away from an information session for the Thought Leaders Forum. Law Firm Brochure - After writing the web site content for this law firm, I created a tri-fold brochure from the information. Book Review on “Make Your Words Sell! (MYWS!) - This book was reviewed for Freebird (www.freebird-zine.com) for their monthly e-zine. If you want to see the whole issue, go to the website, www.freebird-zine.com, and look at Issue 9, in their archives. Duluth School of Ballet - This ad was created for use in several local magazines. GeoSpatial Metrics, LLC - Revised the entire web site to be more consistent in look & feel and to update the message. Market Velocity, Inc. - Revised the entire web site to be more consistent in look & feel. Nature Conservancy Direct Marketing Letter - The preservation of rare animals is always important. In this letter, we appeal to all for contributions. BajaFresh Sales Letter - See if you can resist eating here. “A customer of ours wanted one of our test systems right away. We were very busy putting the system together to the customized requirements that they requested. Our portable database cluster systems are quite complex. They include servers, switches and storage along with complex software and specialized configurations. An important part of our delivery was a high-quality easily understood document set that would guide them in operating the system and project a high degree of competence. We needed help. And we got it. Krishna Avva gathered up our existing literature and industry documentation and went right to work. He worked with us to develop an overall document design and efficient layout. He was able to take the documentation of our engineers and weave it into easily understood prose. He worked extra hours and weekends to help us meet our aggressive deadlines. He was prompt and reliable, just as we need him to be. "Creating value for yesterday’s products, today"